Excellent shot, with nice rich colors. I'm curious. 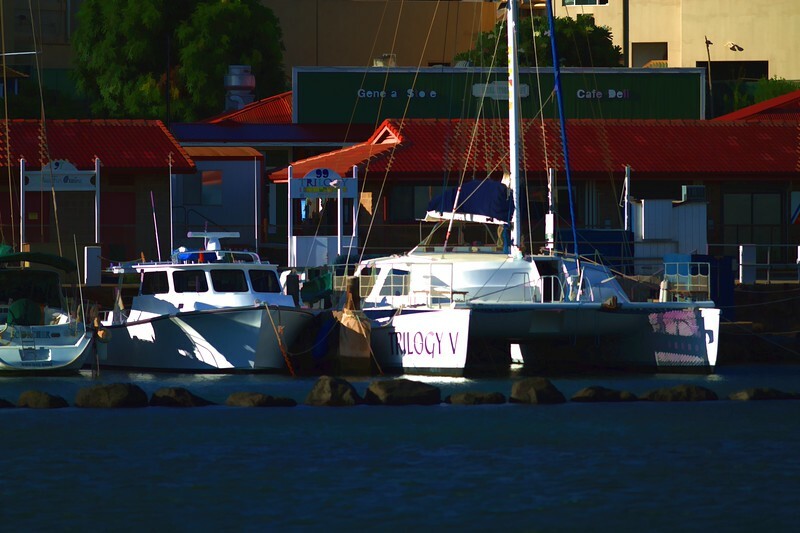 Does the catamaran have to rent two slips at the dock? It's so much wider than conventional hulls.